Prop yourself up with a leisure seat that is perfect for kicking back with a beer or for an intimate romantic night of champagne. Take the idea of a bar stool to the next level with this Artista Swivel Stool, covered in a beige comforting Basil Fabric Cushion, and glowing with a radiant Umber finish. 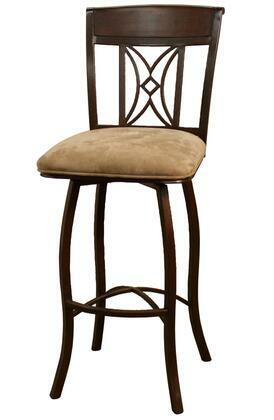 Best traditional style stool ever it has the most durable construction with comfortable seat. I just loved it and i am very happy with this buy. The thing i loved about this stool is that it can be placed anywhere to enhance the beauty and it ensures complete relaxation with its fabric seat.